As the terror-support trial of the Holy Land Foundation (HLF) continued today, FBI agent Lara Burns testified that a phonebook found at the home of Ismail Elbarrasse - un-indicted co-conspirator and former assistant to HAMAS leader Musa Abu Marzook - listed the names and numbers of the Muslim Brotherhood leadership in the United States. On the first page of the phonebook under the title "Members of the Board of Directors" were fifteen names. 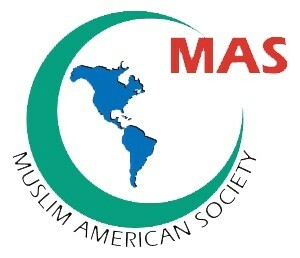 Among those names are Ahmad Elkadi, Jamal Badawi, and Omar Soubani: the founding incorporators of the Muslim American Society (MAS). This evidence confirms Counterterrorism Blog contributor Matthew Levitt's expert testimony that MAS is the representative of the Muslim Brotherhood in the United States, and is substantiated by a 2004 Chicago Tribune article that outlined the history of MAS. Ahmad Elkadi, who told the Chicago Tribune that he was the leader of the Brotherhood in the U.S. from 1984-1994, worked with Mohammed Mahdi Akef, head of the Egyptian Muslim Brotherhood since 2003, to advocate for the founding of MAS. According to the Tribune report, Akef and Elkadi pushed for more openness for the Muslim Brotherhood through MAS. Akef himself "says he helped found MAS by lobbying for the change during trips to the U.S."
In fact, MAS does not deny its Muslim Brotherhood foundations. In 2004, then-Secretary General of MAS Shaker Elsayed stated to the Tribune that "Ikhwan [Brotherhood] members founded MAS…" Elsayed even went so far as to admit that about 45 percent of MAS's active members belong to the Brotherhood. Federal officials have confirmed this, noting continued ties between MAS and the Muslim Brotherhood. A senior Muslim Brotherhood official in Cairo, Mohamed Habib, seems to explain MAS' motivations for espousing Brotherhood ideology while simultaneously distancing itself from the movement that birthed it: "I don't want to say MAS is a [Brotherhood] entity. This causes some security inconveniences for them in a post-Sept. 11 world." "… a modest contribution for our people suffering from Jewish/ Christian (Western) crimes. In's'Allah [God-willing] both will be defeated/slaughtered and kicked out of Islamic lands. This is for relief supplies and weapons to crush the hated enemy." Dratel tried to make light of the letter during his cross examination by asking Agent Burns if she thought that "Sultan Mahmoud" sounded like a nut. During redirect by the Government, Assistant U. S. Attorney James Jacks asked Burns what happened with the donation. Agent Burns testified that HLF not only accepted the "modest contribution" but that "Sultan Mahmoud" was added to HLF's mailing list and was later solicited for more donations.